“Mount Whitney” – the command ship of the U.S. Sixth fleet – has entered the Black Sea and is headed for Georgia. 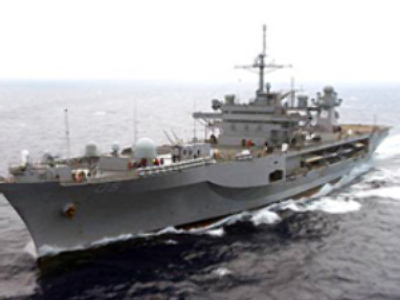 The Pentagon has stated that “Mount Whitney” is carrying 17 tonnes of humanitarian aid. Russian observers note that the command ship will probably coordinate the functions of the NATO ships in the Black Sea. It is expected to dock in Batumi, southwest Georgia. “Mount Whitney” is the sixth NATO ship to enter the Black Sea. There are currently three U.S. ships in the area. Poland, Spain and Germany each have one ship in the region.